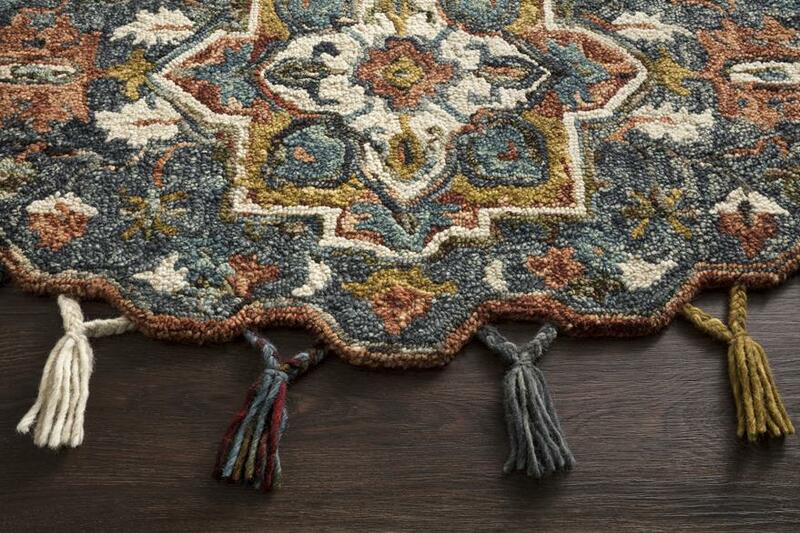 Hooked in India of 100% wool, the Prim Collection is an effortless way to style smaller spaces including entryways, kitchens, laundry rooms, and bathrooms alike. 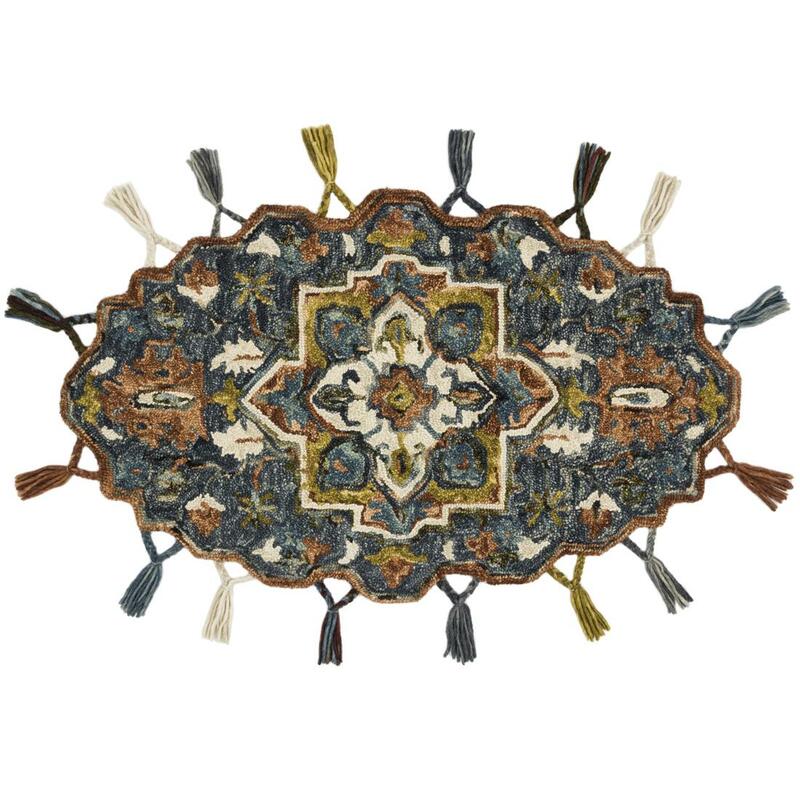 Each design is available in 3 foot oval size, and is accentuated by colorful tassels. Pile height: 0.5; Backing: Cotton Canvas.